At Leeds you’ll be able to get involved in Leeds University Union's award winning media groups, from Leeds Student Radio to Leeds Student Television and The Gryphon newspaper, there’s a range of activities for you to take part in. The Gryphon newspaper is Leeds University Union’s official student publication, founded in 1897. Whether you’re an experienced journalist or just a beginner, writing for The Gryphon will give you the training and feedback to help launch your career in journalism. Leeds Student Radio (LSR) broadcasts from 9am until late. You can pitch a show on any topic regardless of your level of experience. You'll get the chance to review events in Leeds, interview bands and politicians, go on DJ training sessions and use industry standard equipment in the broadcast studio. Leeds Student Television (LSTV) is a TV station run from inside Leeds University Union. It broadcasts a range of programmes made by students for students, including live broadcasts of Leeds University Union events. You don't need any previous experience to join but fresh ideas and a passion for television is an advantage. LSTV offers you the opportunity to gain broadcasting experience in a competitive industry. 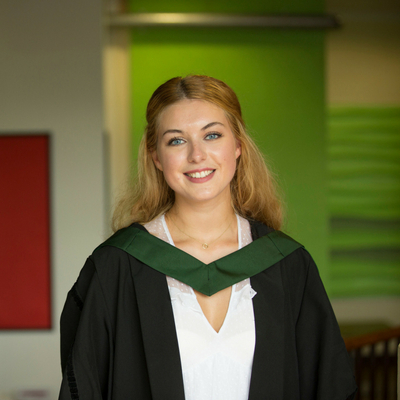 "In my second year I joined the COMMSOC society as Head of Marketing, which gave me lots of exciting opportunities such as arranging night outs for all School of Media and Communication students, and helping organise the end of year summer ball."